ISIS on our border. Thanks, Obama. Last SupperMarket of the summer tonight, August 27. If you've been planning to come all summer, tonight's the night! Some seating provided but you are encouraged to bring your own chairs. Gashouse Annie will perform from 5 to 8 p.m.Call 724-879-4241 for more information. The Lincoln Highway Experience is located at 3435 State Route 30 East, Latrobe, PA 15650. A number of people have asked me what they can do to as a memorial for Marty. His sister, MM, came up with a great idea and that's to plant a tree in Israel. I know Marty would like that. 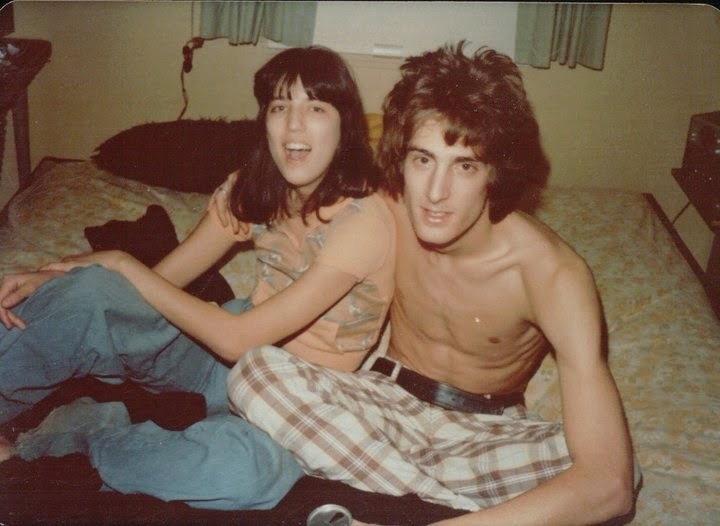 After being kinda shell shocked for a bit - you cannot prepare for the empty space where a loved one should be - I am deeply grateful for having had my Marty as a friend and soul mate for 39 years. Much thanks to friends and family for your good wishes and for rallying around me offering support and sharing tears and laughs for all the good memories. You may or may not be aware that there is a phenomenon of sorts taking place on a weekly basis at the Mountain Palace restaurant. Week after week and month after month, rich life experience and interesting conversation descends upon the restaurant, bringing a colorful array of people and personalities along for the ride. Apparently, a trip to Mountain Palace is not just another evening out – it's an EVENT. Notice my use of capital letters for emphasis. People come to celebrate birthdays, anniversaries, retirements, family reunions, holidays, and any number of other occasions both typical and atypical, often bringing out-of-town relatives and friends along just to have the experience. And all this takes place in the most unlikely of settings: the very rural, very off-the-beaten-path locale of Bolivar, Pennsylvania. But what impresses me the most is that nearly everyone who walks through the door is, quite literally, thrilled to be there. Lacy and Clay have created something quite extraordinary. For anyone who has had the privilege of experiencing the restaurant and seeing the two of them at work, it is obvious that they have something very valuable to teach. Those who have been lucky enough to taste the food have learned that healthy meals don’t have to be bland and boring. And those who are privileged to call Lacy and Clay friends have witnessed firsthand what imagination, courage, hard work, tenacity and – most importantly – cooperation can accomplish. 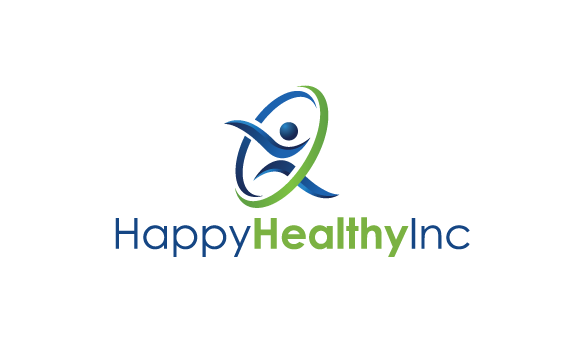 Happy Healthy is about more than just eating well and exercising. It is about caring for others and living conscientiously. It is also contagious. Get involved! I promise you that what happens will be as unexpected as it is worthwhile. Thanks, Honeydew, your review means a lot! Websites under continuing construction but currently operational. The Ligonier Valley Trail is getting a lot of use. It's wonderful to see so many using the trail to not only get some great exercise and improve their health but to enjoy the outdoors. We have received many compliments concerning the trail. Folks of all ages are using it from younger kids to those in their golden years and even whole families have been walking on a regular basis. However, I have also received complaints about the dog waste on the trail and finding dog waste bags on the ground. I personally have picked up numerous dog waste bags. It's not only an eyesore but it ruins the day for other people who like to enjoy the trail too. We welcome folks who are dog lovers and their dogs on the trail. Doggie Poop bags are supplied for you free of charge and there is a waste container a short distance away near the tennis courts. You can also take the dog waste bags home for disposal. If you're not a true dog lover, willing to clean up after your dog, then leave your dog at home. We have considered a waste container to be placed near the bridge. However they cost about $800 each. That's a lot of money and those that throw their dog waste bags in the weeds probably wouldn't use them anyway. Once a waste container is in place, there is a cost to servicing it. There are some dog owners that let the dog poop right on the trail with no thought of picking it up. That's not pleasant either. We've made a nice trail for everyone to use so we are asking you to please be considerate and kind to your fellow man as well as your dog. Mill Creek meanders toward the Lincoln Highway bridge as fog lifts early this morning in Ligonier. 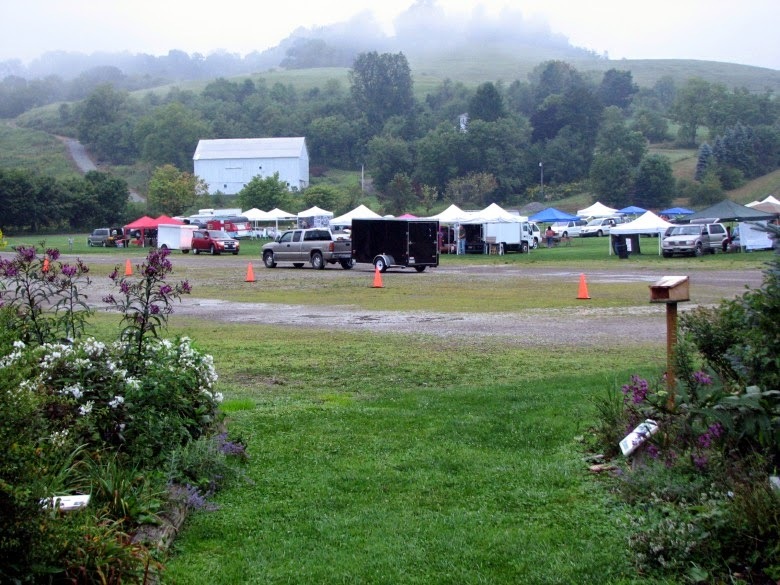 Ligonier County Market vendors get organized nearby. Mountain Palace - Shrimp Youcai - Again! "Meet the band" at Weller Field tonight has been cancelled due to the weather! Ed Keleman, author of the new Haunted Route 22 ghost story book, will be signing his books at the Lincoln Highway Experience Museum tonight, August 20, from 5 to 7 pm. 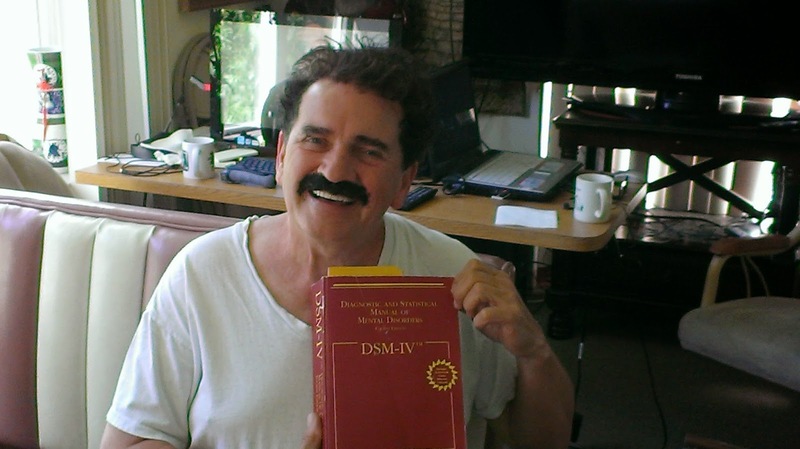 His books will be available for purchase. Our August 20 Lincoln Highway SupperMarket is ON. The rain is moving away and the sun is shining. There are only 2 left this summer so come out tonight. Join the crowd at the Lincoln Highway Experience Museum, 3435 State Route 30 East, Latrobe, PA from 5 to 8 pm tonight. 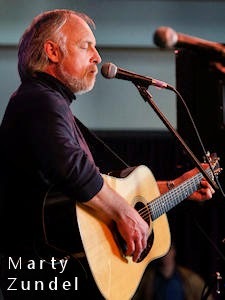 Enjoy the sounds of musician Marty Zundel. Purchase food from 6 local restaurants. 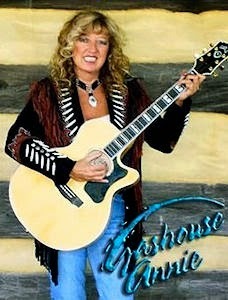 Call us at 724-879-4241 for more information or visit www.LincolnHighwaySupperMarket.org . For even more from Brookings on social mobility and inequality, visit the Social Mobility Memos blog for the latest research and commentary from Reeves and his team at the Center on Children and Families at Brookings." 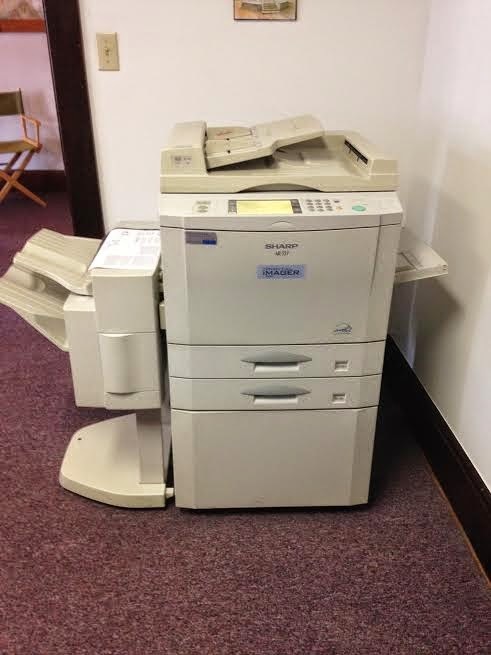 We have 2 copiers to give away. This is one of them. 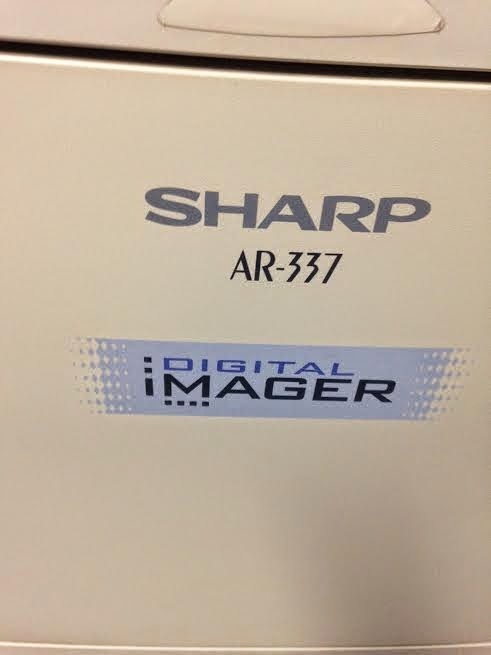 Both copiers have served us well over the years and received regular maintenance. They have been retired to light usage. We are moving our office to a smaller space and won't have the room. 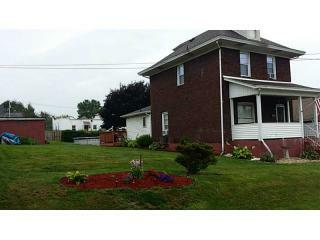 Please call our office at 724-238-7783 or send me an email dianecipa@gmail.com. Do you take ketchup or mustard with your literature? 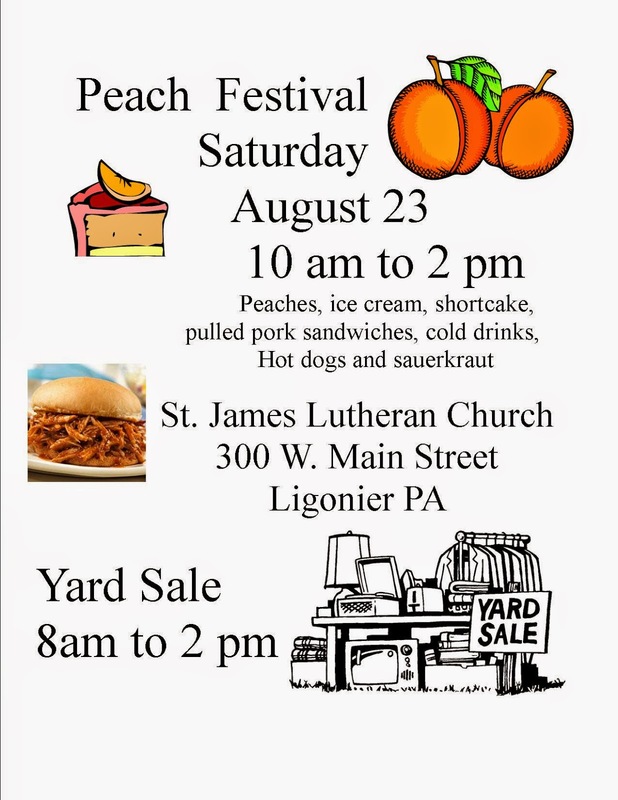 For an entertaining afternoon of fun, food, and fiction (not to mention nonfiction and poetry), come to Ligonier Valley Writers' annual community picnic. It's on Sunday, September 7, from 3:00 to 5:00 p.m. at St. Michael’s of the Valley Church in Rector. The event is free for LVW members and just $5 for nonmembers. Bring a covered dish or dessert if you like (although it’s not required). Join us for good food and good conversation in the scenic Laurel Highlands. Both LVW members and nonmembers are welcome to read from their own writing after the meal. You’ll also have a chance to win raffle prizes. Copies of the 2014 edition of The Loyalhanna Review will be available free of charge. The magazine features top-quality essays, short stories, and poems, as well as photos and fine art. Among the offerings this year are Lou Steiner's meditation on time, Nancy Clark's humorous essay on "Cups in the Cupboards" and what they tell us about their owners' personalities and, as always, breathtaking art, including many locally shot photos. St. Michael's is located at 2535 Route 381 in Rector (Ligonier Township): (724) 238-9411. Ligonier Valley Writers has been serving writers and readers throughout western Pennsylvania since 1986. For more about LVW events, publications, and writing contests, visit www.LVWonline.org. Mervin and Ina Lapp and their family of six children announce their plans to open a new neighborhood grocery store in Latrobe on Thursday. Lapp Family Market will offer standard grocery items, bulk foods, deli meats and cheeses, and sugar-free and gluten-free products, as well as a variety of cookbooks, cooking and canning supplies, and home décor items. Outdoor living product such as swingsets, decking, porch railing, fencing will also be offered. Lapp Family Market will be open 8:30-5:30 Monday-Friday, 8:30-4 Saturdays, and closed Sunday. The Lapp family has roots in Lancaster County, Pennsylvania and Holmes County, Ohio. (The Lapp family moved from Lancaster into the Latrobe area in 2012.) Lapp Family Market will draw from these roots, as many of the items carried in the store come from the Lancaster, PA and Holmes County, OH areas, including Walnut Creek Foods product lines, Coblentz Chocolates, Uncle Mike’s Beef Jerky, Mrs. Miller’s homemade noodles, Jake & Amos canned goods, Kauffman’s Fruit spreads, and Kutztown sodas. Lapp Family Market also carry’s Angies Boom Chicka Pop popcorn, Bob’s Red Mill products, New Hope gluten-free baking mixes, and Nature’s Sunshine. The Somerset area Moo Echoes line of milk and ice cream will be offered, as well as local honey, maple syrup, and eggs. Old-Fashioned nut butters (peanut and almond) will be ground fresh on the premises. Located along Route 30 East, Lapp Family Market is conveniently located to serve customers from Latrobe, Ligonier, Greensburg, and surrounding communities. Just relax and build nuclear plants. Wind and solar farms are constant killers. He is correct. There should be no tolerance. “The position is clear. If people are walking around with Isil flags or trying to recruit people to their terrorist cause they will be arrested and their materials will be seized,” he says. "Just to keep an eye out: I went to the grocery store and my grandson was home alone. I wasn't gone long but, someone came to the door and he answered even though he been told not to. His answer was that he had a bat in his hand so he was ok. Now the story.....There was a lady with long blond hair and she was selling childrens books or mags. She asked for a parent and he told her no and shut the door. I was out with a group of ladies last night and one of them talked about the blond woman selling childrens books at around 10:00pm and just didn't want to give up. The husband at last got firm with her and she then left. I called the police today and they are coming to talk with my grandson. So please watch out. I don't know if there is anyone else with this lady or what. The only thing the police told me was that no one had asked for a sales permit. So they would like info if you have any or saw something out of place." At least 33 companies drilled 351 wells in 12 states using prohibited diesel fuels without required permits in violation of the federal Safe Drinking Water Act. WASHINGTON, D.C. -- The illegal injection of diesel fuel during hydraulic fracturing has continued over the last four years, despite repeated denials by the drilling industry, according to a report by the Environmental Integrity Project (EIP). In its investigation, EIP also found troubling evidence that drilling companies have been changing and eliminating their disclosures of past diesel use from the industry self-disclosure database of chemicals used in hydraulic fracturing, called FracFocus. Injecting diesel fuel into the ground to fracture shale and extract gas or oil is a potential threat to drinking water supplies and public health because diesel contains toxic chemicals, such as benzene, that cause cancer or other serious health problems, even at low doses. EIP’s report, “Fracking Beyond the Law,” uses self-reported data from drilling companies and federal records to document at least 33 companies fracking at least 351 wells across 12 states with fluids containing diesel from 2010 through early August 2014. Diesel fuels were used to frack wells in Texas, Colorado, North Dakota, Arkansas, Oklahoma, Wyoming, New Mexico, Utah, Kansas, Pennsylvania, West Virginia, and Montana without required Safe Drinking Water Act permits. A vision nearly 15 years in the making marked a major milestone Friday when the Watershed Farm Project was revealed during a special ceremony on the 123-acre former McConnaughey Family Farm owned by the Loyalhanna Watershed Association. “When we were looking for the proper name for this ceremony, we decided on “ground-saving” because we are not rebuilding on the site we are saving an historic site,” said Susan Huba the association's executive director. ever hear of QuickBooks? does payroll, too. Zickefoose said the authority's payroll from Paychex Payroll Services, a Pittsburgh-based company, was received eight days late. The board discussed four options for addressing the issue: not changing the system, paying $15 for UPS to overnight the checks, buying checks and processing them in house, or asking all employees to enroll in automatic deposit. The board decided to table the matter until next month's meeting. The board approved a $2-per-hour raise for Zickefoose, who works part time. She will receive $14.50 an hour. Despite being a part time employee, Zickefoose has worked full time hours due to the authority's numerous projects and its conversion to new billing software. The shop's inventory has grown more diverse over the years, Richard McNatt said, adding that the clientele is changing. McNatt said it's hard to tell what people are looking for when they first come into the store. Recently, a young girl interested in sewing came in the shop asking for clothing patterns and left with a mannequin. I agree with Mary. Why no activity bus??? The United School District, 4 miles from the Northern End, understands and addresses the needs of all their students allowing an equal opportunity for success. The LVSD board "Refuses" to provide the students of the northern end with an activity bus. Oldham applies for grant after grant and gives contracts and raises after raises to her friends with the boards' blessings ,in addition to the $1.8 million from the RKM foundation , and taxes raised 3 times in four years. I see monies were found for the painting of the shed behind the adm bldg while 1 activity bus cannot be provided . That is Hutchinson's , Tantlinger's , Maier's, Robinson's and , Shafer's means of punishing the Northern End. Why doesn't Thistlethwaite or McDowell or Dickert -Wallace or Wilcox speak up? "EAST WHEATFIELD TOWNSHIP — United School District students will have transportation services provided to them for after-school activities through Tri County Transportation Inc.
Board members on Tuesday voted to implement the transportation services for the benefit of the district’s students who participate in sports or any other after-school activity. Such services were cut in the past due to budgetary concerns. Board President Don Davis said Tri County “was able to bring that back” at virtually no cost to the district save for anything over the price of the diesel fuel, the wholesale cost of which is $1.50 per gallon. Tri County would accept the money it received from the Pennsylvania Department of Education, Davis said. The district has gone at least two years without after-school transportation as a cost-saving measure, leaving parents responsible for transporting their children home. “This is a great service for our students and district residents, because we do cover 132 square miles,” he said." It seems my choice was made when I read one sentence in my maternal genealogy:Madame Rosalie de Leval gave her land to Louis des Isles. I set out to discover who Madame Rosalie was and why she would give my ancestor her land. In the process, I discovered a unique French woman whose story had never been told. Such a strong woman deserved to be recognized. At least one barn was destroyed by fire Tuesday while two other structures were in danger in Ligonier Township. The Westmoreland Department of Public Safety reported the blaze started just after 9:30 p.m. The fire was brought under control within 30 minutes. I find the phrase "seasoned government administrator" kinda scary. Ligonier Township's new manager will begin work on Monday. During a meeting Tuesday night, the supervisors voted to hire Terry Carcella, 59, of Unity under a two-year contract. Attorney Michael Korns, serving in Solicitor Scott Avolio's absence, said Carcella's salary will be $61,000 a year with some benefits. Supervisor Paul Knupp said Carcella is a “seasoned government administrator” with more than 21 years' experience. He cited some of Carcella's areas of expertise as zoning, code enforcement, land use, flood and hazard mitigation, grant-writing and union negotiations. She is litter trained and looking for love. Call me at 724-238-7783 or send an email dianecipa@gmail.com. Hope you can join us between 5 p.m. and 8 p.m. tonight, August 13, for our weekly Lincoln Highway SupperMarket. The rain is forecast to clear out. Several area restaurants will be selling delicious food for your dinner. Chris and Lauren will be performing. Visit www.lincolnhighwaysuppermarket.org for more information or call us at 724-879-4241. After working very hard to help fracking spread across PA, Senate President Pro Tempore Joe Scarnati (R-25), doesn't want drilling in a portion of his district. What about all the other watersheds fracking will compromise, Joe...such as the Laurel Highlands watershed, for example? Why is the watershed in his district more deserving of protection? Protection from the pollution and destruction that frackers say doesn't happen... .
“Flatirons Development, LLC, has agreed to discontinue Marcellus drilling operations of the Brandon-Day well which is located upstream of the Brockway Borough Municipal Authority Rattlesnake Reservoir. The existing bore hole will be abandoned, sealed and reclaimed to eliminate the possibility of watershed contamination. “This recent decision by Flatirons Development to stop plans for drilling at the Brandon-Day well is a good and responsible decision for our community. Earlier this year after taking part in numerous discussions and meetings regarding this well, I reached out to the Department of Environmental Protection (DEP) to express serious reservations with permitting any further drilling at the proposed site or any nearby site which could potentially compromise the reservoir. 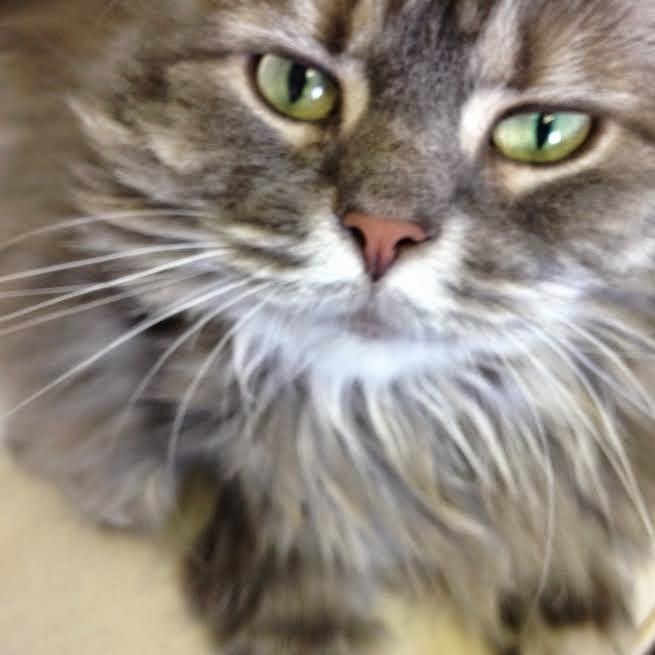 This beautiful mature cat needs a good home. 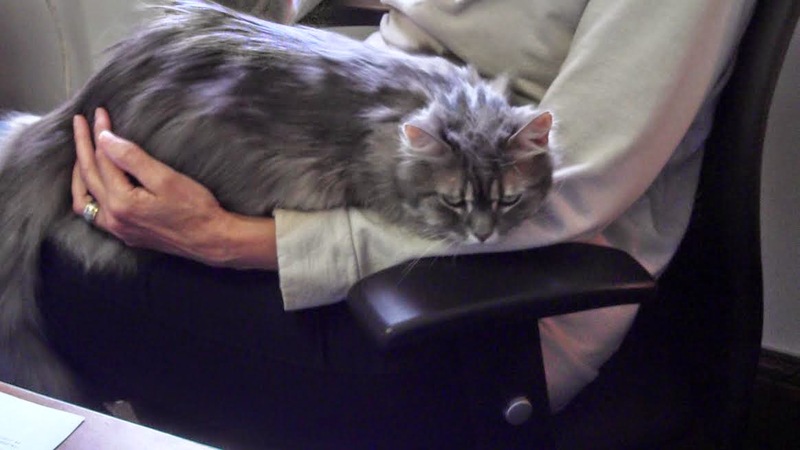 Gracie lives to cuddle. She is spayed, litter box trained and just needs a gentle combing every other day or so. We're not sure of her age but we think she's about 10 years old. She has no health issues and isn't a scratcher. She just loves to be loved. Best match would be a home without other pets. If you know of someone who could use a good companion please send me an email or call me. 724-238-7783 or dianecipa@gmail.com. This sweet little puppy is lost on Laurel Mountain. 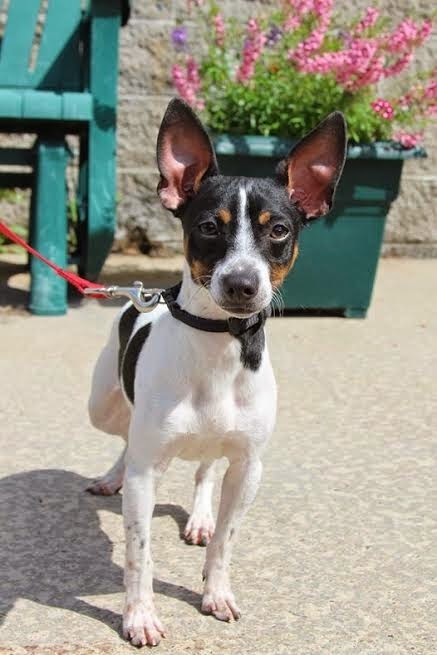 MISSING: Newly adopted tri-colored male, neutered Rat Terrier on Route 30, Laughlintown, near the Runaway Lounge. Very shy, do NOT chase try to get into car call 724-953-5537 immediately. Or take to Runaway Lounge. PLEASE SHARE! AUGUST 16: The Ligonier Valley Library will present a 3 D for Kids Program on Saturday, August 16th from 11 AM- Noon. This high-energy workshop, presented by award-winning filmmaker Jeff Boller, explores the art and science of 3D movies. Participants learn how to create amazing drawings, photographs and movies... all in 3D! The workshop is intended for kids ages 7 and up and their parents. There is no charge to attend, but registration is required. Call the library at 724-238-6451 for more information. AUGUST 17: The Summer Band Concert series continues every Sunday evening beginning at 7 PM at the Diamond Bandstand. On August 17th it's the Delmont Area Concert Band. AUGUST 17: The Compass Inn will hold a Militia and the Frontier Living History Weekend on August 16th from 11 AM- 4 PM and August 17th from 1 - 5 PM. Call the Compass Inn at 724-238-4983 for more details. AUGUST 22: The Taste of History will be at Fort Ligonier on Friday, August 22nd from 5:30- 7:30 PM. There will be pizza baking demonstrations in our field ovens and musical performance by Joe Golden and Pat Petraca. Tickets are $8.00 for Fort members and $10.00 non-members. AUGUST 23: Antiques on the Diamond returns to Ligonier on Saturday, August 23rd from 8 AM- 3 PM. There will be over 50 antique dealers located around the Diamond. 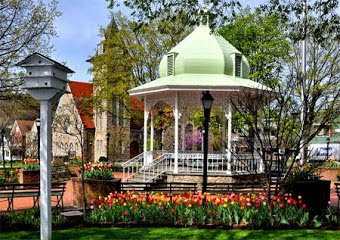 AUGUST 24: The Summer Band Concert series continues every Sunday evening beginning at 7 PM at the Diamond Bandstand. The Somerset Country Community Band will perform on August 24th. THROUGH AUGUST 29: Get out the popcorn and the blankets! Keystone State Park has movie night every Friday night now through August 29th. They will be playing a variety of movies (pg-13 or less) at the beach house. They will be shown on a projector screen outside on the lawn, so bring your blankets, chairs and make sure you dress for the weather. But most importantly bring the whole family for this great time! Movie times are at 8:30 pm, may vary depending on when it gets dark. Movies will not be shown in inclement weather. AUGUST 30: Come and witness blacksmiths perform their trade at the Hammer Inn -Blacksmith Day ..Saturday, August 30th from 11AM- 4 PM at the Compass Inn. Call 724-238-4983 for more information. SEPTEMBER 1-30: Silly Saturdays in September return at the Compass Inn with colonial crafts and a lot of fun activities for the kids. That's every Saturday in September from 11 AM- 4 PM. PHILADELPHIA — Groundwater and air quality testing before, during, and after natural gas drilling – which includes hydraulic fracturing -- should be key components of efforts to ensure the safety of communities near these sites, according to an expert panel convened to weigh in on public health research needs associated with unconventional natural gas drilling operations (UNGDO). The panel also urges that any research conducted should use “community-based participatory research principles” so that the concerns of the many stakeholders involved in these activities can be addressed. A group of environmental health researchers, led by Trevor Penning, PhD, director of the Center of Excellence in Environmental Toxicology (CEET) at the Perelman School of Medicine, University of Pennsylvania, published their findings this month in Environmental Health Perspectives. UNGDO, which includes hydraulic fracturing and horizontal drilling, supplies an energy source which is potentially cleaner than liquid or solid fossil fuels and may provide a route to energy independence for the U.S, say proponents. However, significant concerns have arisen due to the lack of research on the public health impact of this type of energy extraction. ALERT ALERT ALERT .......This little dog is missing. Wouldn't it be wonderful to see more programs opting out of federal dollars to avoid mandates? Lunch at Fort Thomas Independent Schools may include more French fries, fewer vegetables and larger portions this year. One thing that won't be on the menu: federal dollars. The Campbell County district is opting out of the federal school lunch program, forfeiting hundreds of thousands of dollars in federal funding. The reason: Kids didn't like their healthful lunches. Cynthia Thornton's latest show, "Wonder Cabinet" opens tonight at Allegory Gallery! Cynthia Thornton is a fine artist, illustrator, and author. She is also the proprietor of Green Girl Studios in Asheville, North Carolina. Green Girl Studios is a metalsmithing-based company that designs and produces whimsical pieces in fine pewter, silver, bronze, and shibuichi (a copper and silver alloy). 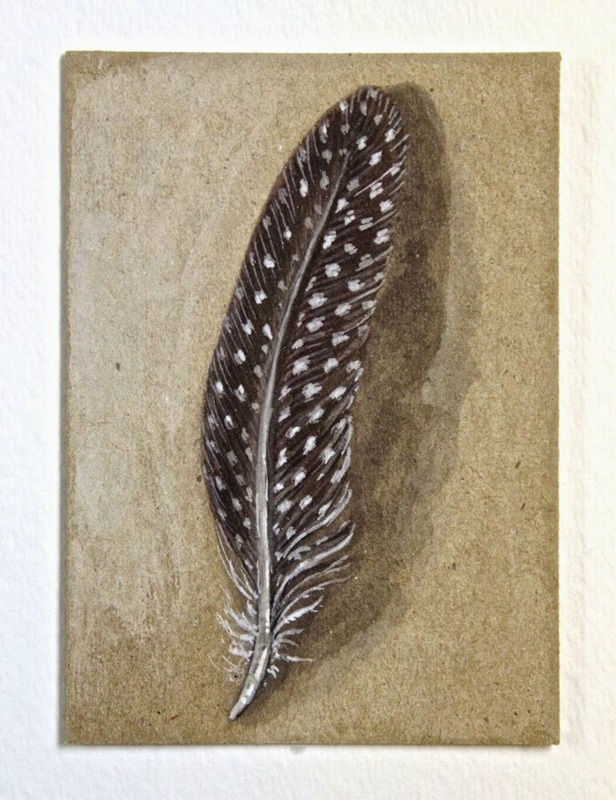 This is Cynthia's second solo show at the gallery and will feature a collection of twelve original artworks. The opening reception is from 5PM to 8PM. Please join us to celebrate the new work and see the small-scale pieces in person! If you're not able to attend, you can still see the show online! CLICK HERE to check out the pieces from the exhibit. 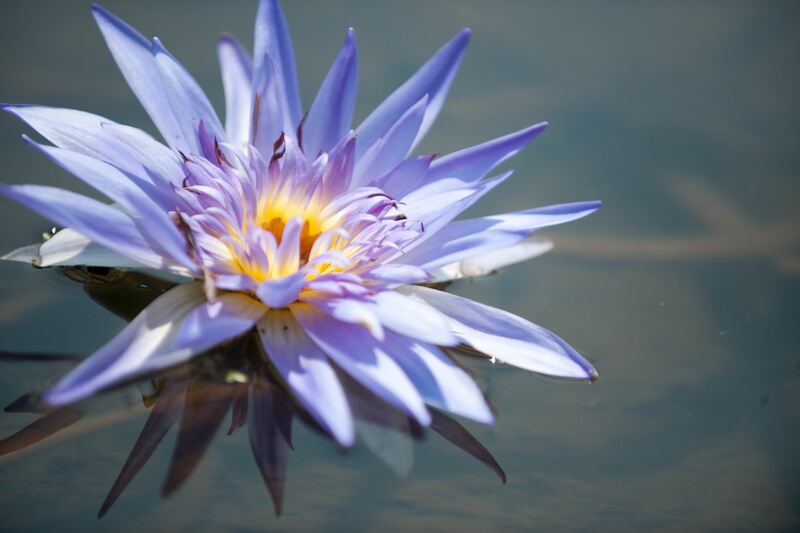 He is proud of his water lilies, proud that they have graced tables in the White House. But he does not register his cultivars with Water Gardeners International. “I’ve done them for myself,” he says. Usually, Mr. Griffith rides around his ponds on his golf carts, watching as dragonflies flit over his blooms and hawks circle overhead, stopping now and then to pull out a flower and hold it to his nose. Today, though, he will open up his property for the Lotus and Lilies Salon, a fundraiser for the Southern Alleghenies Museum of Art. Guests will enjoy a buffet lunch and the refined atmosphere of Ligonier, where Pittsburgh’s rich and famous have traditionally gone to escape the city. But the most important part of the day will be the flowers. “To see such beauty coming out of that dirty water ...” he says. But he does not finish the sentence. If this is a topic of interest to you, it will be presented for discussion by Joe Steirheim on Sunday. The Ligonier Valley Library is looking for a few good men... and women who served in the military during World War I. The Pennsylvania Room's annual historic photo show will feature “Faces of Ligonier Valley: Veterans of World War I” Sept. 9 through Nov. 18. To recognize the 100th anniversary since the start of World War I, the library is issuing a call to the public to lend photos and documents as well as artifacts such as uniforms or helmets and other memorabilia dealing with loved ones and their experience in World War I. The fun is on fire courtesy of Ligonier Volunteer Hose Co. No. 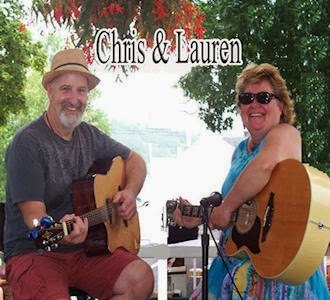 1 members, who will play host to the first annual “Brews and Ladders Craft Brewing Festival” from 5-9 p.m. Aug. 16 at the hose house located at 112 N. Fairfield St. The event will showcase the talents of local beer crafters. All Saints, Four Seasons, Helltown and Penn Breweries will be on site providing the beverages. In prime picnic tradition, menu items will include pulled pork, potato salad and baked beans, and guests can munch along to music while enjoying an evening with family and friends. The festivities are in support of a solid cause, as all proceeds benefit the fire company, which is 100 percent volunteer. Admission to the event is $20. 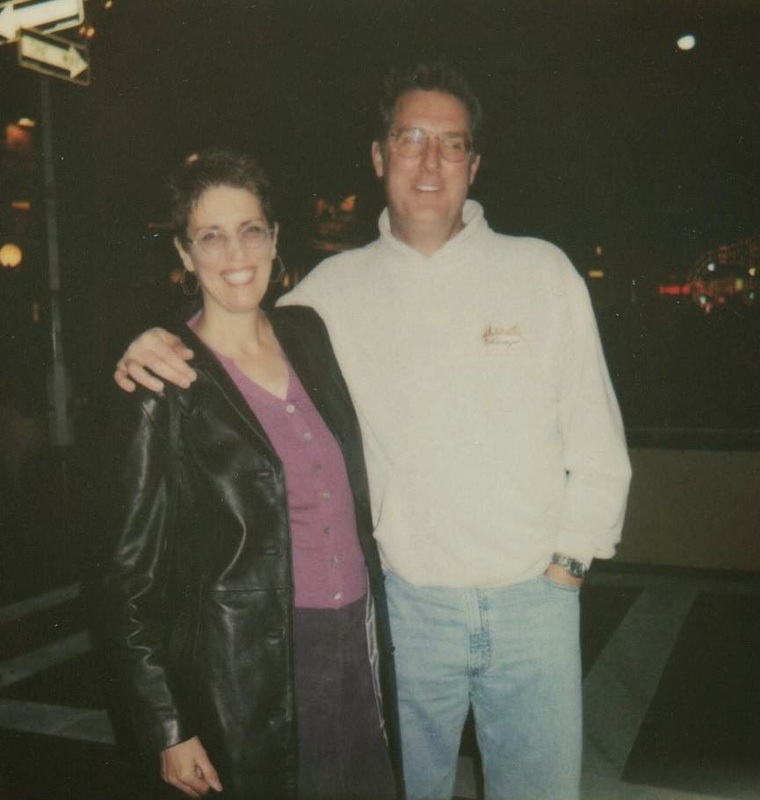 Animation has been enriching Jeff Boller's life for a long time. As a child, the software developer would draw images on hundreds of sheets of paper and then use a Super 8 camera to create motion pictures with the images. These days, Boller, 41, of Greensburg is taking animation to another dimension. 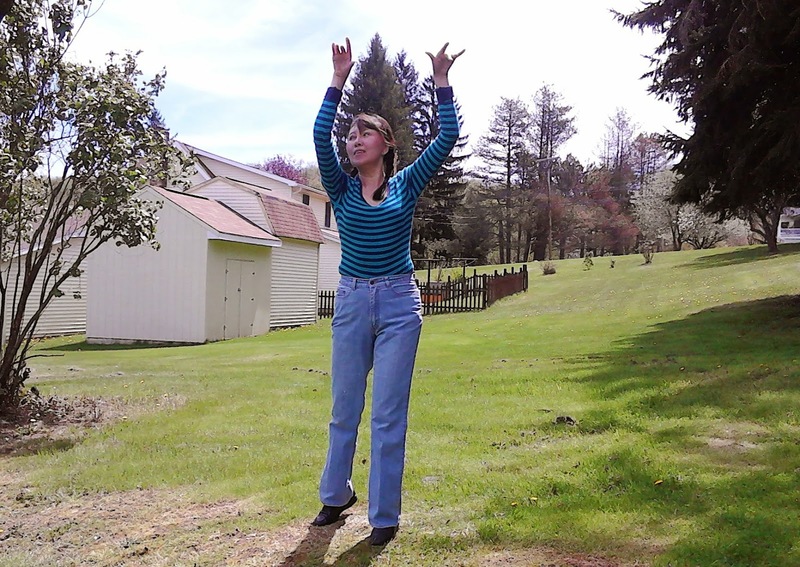 Boller will teach a free “3D for Kids” workshop at 11 a.m. Aug. 16 at the Ligonier Valley Library. The program, for children ages 7 and older, will provide a look at how 3D works in various art forms. (Reuters) - A tourist seeking to take pictures of Yellowstone National Park crashed a camera-equipped drone into its largest hot spring, possibly damaging the prized geothermal feature, a park official said on Wednesday. 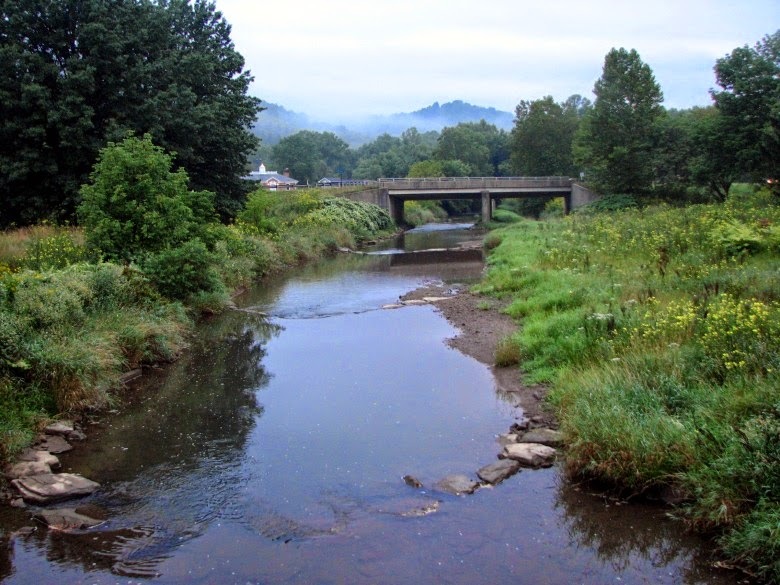 "The owner of a Youngstown oil-and-gas-drilling company was sentenced Tuesday to 28 months in prison for ordering employees to dump tens of thousands of gallons of fracking waste into a tributary of the Mahoning River. U.S. District Judge Donald Nugent also fined Benedict Lupo, 64, of suburban Poland $25,000. Nugent rejected defense attorney Roger Synenberg's request for home detention and a harsh fine. Synenberg said Lupo is frail and extremely ill, as he requires dialysis treatments daily and suffers from chronic pain and diabetes. "If he goes to jail, it's the death penalty for him,'' Synenberg said. But Nugent cited the fact that Lupo ordered two employees to dump the waste and lie about it. The employees tried to talk Lupo out of it, but he refused. He also pointed out a prosecutor's pictures that detailed six weeks of clean-up in an oil-soaked creek. "All you have to do is look at those photographs to see the damage that was done,'' Nugent said. In March, Lupo pleaded guilty to the unpermitted discharge of pollutants under the U.S. Clean Water Act. 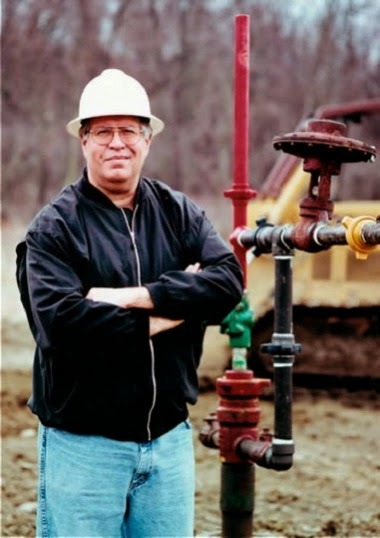 His company, Hardrock Excavating LLC, stored, treated and disposed waste liquids generated by oil and gas drilling. As the stored waste liquids piled up at his company in the fall of 2012 and into 2013, Lupo ordered employees to purge waste tanks into a storm-water drain that flowed to tributary. Two employees dumped waste 33 times. In some instances, they drained only a portion of a tank; most times, however, they dumped all of it, said Brad Beeson, an assistant U.S. attorney." The Ligonier Valley Library will host a free, high-energy one hour workshop that explores the art and science of 3D movies. The program is free, but seating is limited. Registration is required. Learn how to take 3D pictures with a regular 2D camera! Discover how ordinary art supplies can be used to make sophisticated animated 3D cartoons. Everyone takes home a pair of red/cyan 3D glasses, a 3D postcard, a 3D greeting card and an activity sheet. The program is presented by award-winning filmmaker/musician Jeff Boller. Registration is required. Stop by or call the library (724-238-6451) to reserve a seat today! Why cook tonight? The Lincoln Highway SupperMarket is on for August 6. 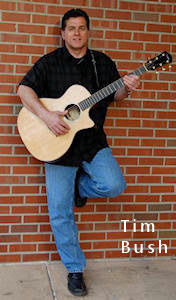 Join us between 5 p.m. and 8 p.m. at the LH Experience Museum, 3435 State Route 30 East, Latrobe, for delicious food while listening to Tim Bush. Visit www.LincolnHighwaySupperMarket.com for more information. We're looking for a good home for Gracie. 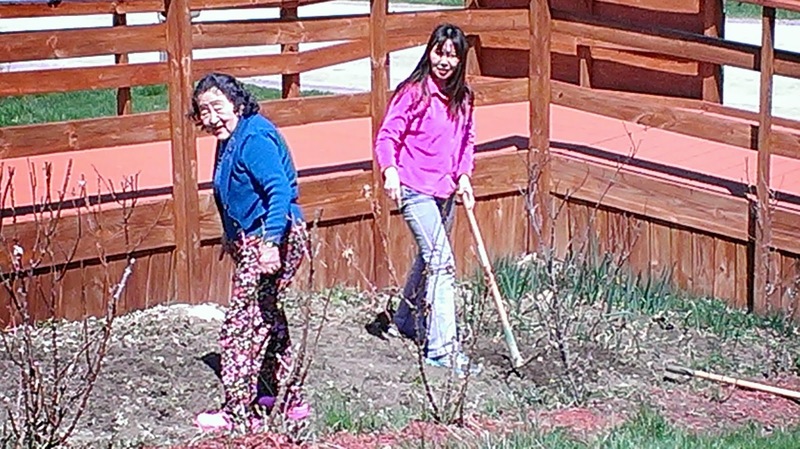 We think she would be best suited as a companion for an older person. Gracie lives to cuddle. She is spayed, litter box trained and just needs a gentle combing every other day or so. We're not sure of her age but we think she's about 10 years old. She has no health issues and isn't a scratcher. She just loves to be loved. If you know of an older person who could use a good companion please send me an email or call me. 724-238-7783 or dianecipa@gmail.com. Dr. Tom Seeley, the author of Honeybee Democracy*, will give a presentation at Powdermill Nature Reserve on Saturday August 9 at 7:00 p.m. on Honey bees in the wild. The honey bee, Apis mellifera L., is native to Europe, the Middle East, and Africa. Until around AD 1600, the species lived only in these regions, but since then humans have introduced honey bees to the Americas, Australia, east Asia and many of the Pacific islands. Across this vast range, honey bees live both as wild colonies inhabiting natural nest sites and as managed colonies occupying beekeepers' hives. In this talk we will look at how honey bees of the European races live as wild colonies, and what this tells us about the practices of modern beekeeping. *"Honeybees make decisions collectively--and democratically. Every year, faced with the life-or-death problem of choosing and traveling to a new home, honeybees stake everything on a process that includes collective fact-finding, vigorous debate, and consensus building. In fact, as world-renowned animal behaviorist Thomas Seeley reveals, these incredible insects have much to teach us when it comes to collective wisdom and effective decision making. A remarkable and richly illustrated account of scientific discovery, Honeybee Democracy brings together, for the first time, decades of Seeley's pioneering research to tell the amazing story of house hunting and democratic debate among the honeybees."